Lemme tell you, billing automation can provide a huge ROI – especially if you're using product launches in your business or if you sell a recurring product (that probably accounts for about 70% of you). 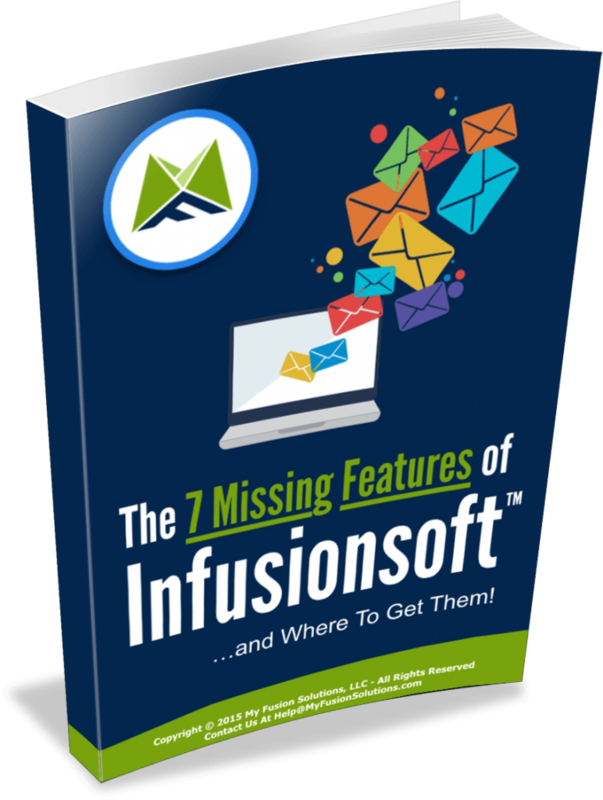 I'm sure you understand the basics of Infusionsoft's Billing Automation. At it's core, it's pretty simple. A charge fails, you send them an email with a link to update their credit card and that's it. Like anything, there's doing it, and then there's the Best Practices uncovered from helping top marketers get every last penny out of their sales. In this post I'm not going to hold anything back and let you know all of the secrets and tricks I've used to get every last iota of money collected. But first, how well does it work? Well, in a recent for one of my clients that did over $3M, we saw an increase in recaptured revenue of over 40% from their previous launch using just some of these techniques. There are a lot of potential solutions listed below, but it's not to imply that you need all of them or to get you feeling overwhelmed. 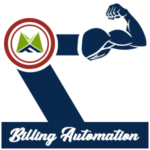 Billing Automation is something you can continually refine, so pick a couple of easy ones that make sense and implement them THIS WEEK in your business and then come back in a while and add some more. This list is in no particular order or relevance. Mix up your email delivery styles. You have a few attempts to reach out and get people to pay their bill (we recommend four of them – more on that later), so mix up the way you send your emails. Send some with heavy branding, others with plain text and even mix up who you send them from – the celebrity name of the company, the billing department, the owner's wife – you get the idea. The point here is that you want to hit them from a few different angles to see what works. Increase the directness of your tone. Your first email should start off very casually and almost give them an excuse for not paying – to take the pressure off and make them feel like this happens to everyone. But as you email them for second, third and fourth billing failure notifications, you want to progressively get more direct and let them know their account will be closed if not paid. Add specific language to the emails. It's best to do these Billing Automation emails by the actual product so that you have very product specific messaging and copy in the email. But another thing you can do, is send out the emails from a campaign instead and use a custom field to “merge in” product specific language so that you don't have to create tons of different emails. This approach, however, would require the use of a $0 product for credit card updates and manual subscription updates since you'd not be able to use the update link in Campaign Builder. Use cart abandonment strategies. You can actually implement cart abandonment on Billing Automation. There is a global action that fires off when someone clicks a link to update their credit card and another when they actually update it. So you can track the difference and treat it as a cart abandonment. This can be highly effective. Use a campaign as well. Yes, if you use the Billing Automation area to send the emails via email templates you'll be able to use the auto-updating links. However, you also want to be able to track the effectiveness of your billing automation system. The best way to do that is to apply a tag on the first failure that kicks off a campaign which will track how many you lose and how many you recapture. We do this internally and I can tell you that we have an 87% recapture rate – which is very high (above 50% is good) – but I know that because we track it. Split test your subjects. Most people put minimal effort into the Billing Automation emails, yet they're some of the most valuable emails you can write. So take the time and split test their subject lines and monitor the results. Use the rebill frequency to your advantage. Did you know that you can set how many times the billing retries and even the number of days between retries? Well, what most don't know is that this data is stored in the subscription charge record. That means that if you change it tomorrow, the new settings will only apply to new subscriptions. You can use that to your advantage, for example, if you want a product launch to have more aggressive retry logic than your core evergreen billing retry logic. Then simply change it back to your default values after the launch. Not too long… Don't go much beyond 20 or 25 days though because you want to not exceed 30 days if you have a monthly subscription product in order to avoid going two months behind on payment from your client. Make sure to have Expiring Credit Card logic setup as well and make sure that you notify via a task or perhaps our Slack It Helper someone to follow up with expired cards. 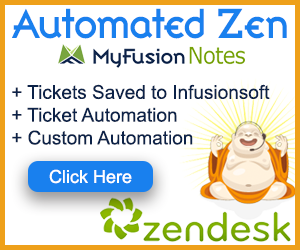 This is very important because once a card expires Infusionsoft will never use it in billing and that means that it will never trigger a billing failure and thus never trigger your billing automation either. I talk about this more in this blog post. Use text messages. One thing that can dramatically improve collections and recapture rates is to use SMS messages in your billing automation system as well. You likely have their phone number from time of sale, so just assume that it's a cell phone and work that notification into your followup as well. This is why we want to use a campaign as well as a $0 update form and a call to action domain too (see below). All of these go hand-in-hand with sending a text notification. Use $0 Credit Card Update Forms. You can (with a little code magic) create a $0 order form purchase that doesn't buy anything but just allows a client to securely enter their credit card information. Use a call to action domain. Short domains like CCUpdate.com (fictional) or whatever, can be very useful as well. It allows your support reps to give out the link easily and also allows you to drop it into an SMS messages as well. Okay, I'm sure there may be one or two more that I'll add to the list in the future, but I wanted to give you a lot to work with – hopefully you'll find a couple of ideas in the list above you're not currently using. Remember to share this post with anyone you like and to make sure and signup below for more great tips like this each Tuesday. That's a wrap!